The Tecno Camon X comes with a 6.0 inch display and boasts of a 2.0 GHz Octa core Cortex A53 processor with Android 8.1, Oreo. It also comes with a 3 GB of RAM, an internal memory of either 16 GB /32 GB. It has a back/ rear camera of 20 MP and a 16 MP front camera with a 3750mah Li-Po battery capacity to push all this. 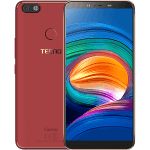 Below are Online stores you can buy Tecno Camon X. The Online stores Jumia, Gearbest and Konga. The Tecno Camon X comes with dual SIM slots and supports the 2G, 3G and 4G LTE Band for its connectivity. It has inbuilt with it Wi-Fi capability and the ability to create Wireless Hotspots. The Tecno Camon X comes with a display of 6.0 inches. It uses the IPS LCD display technology. It has a resolution of 1440 by 720 pixel. The display is quite good quality for phones within this price range. The Tecno Camon X boast of a Octa (Eight) Core processor clock at 2.0 GHz, the chipset is the MediaTek . Te GPU is the Mali. The Tecno Camon X also comes with a 3 GB of RAM, an Internal Memory (ROM) of either 16 GB / 32 GB. The storage space can be expanded via the micro-SD slot (Maximum allowable Storage for Micro-SD is 128 GB and it uses a dedicated slot). 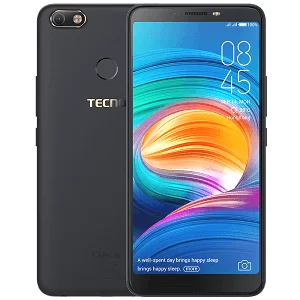 The Tecno Camon X comes with Android 8.1, Oreo out the box. The Tecno Camon X makes use a 20 MP back or rear camera with LED flash and an 16 MP front camera with LED flash light. The Tecno Camon X has a battery with the capacity of 3750 mAh. The Battery uses the Li-Po technology and it is non removable. This battery could last for a day on an average heavy usage. I bought my camon x about five months now,my internet signal keeps disappearing,either WiFi or Data.I send it to the office and they ask me to leave it and come the next day,went for it almost a week now,but still the same problem.. I am a problem with my new Camon x. i bought 4G lite glo Sim unfortunately is not showing in my Camon x…. i am Very surprised. Actually it suppose to show, please do check if the SIM Card is inserted correctly. I got my Techno X a week ago and each day ,they tell me there’s a problem with my WhatsApp so I should uninstall and later re install it ..
Its becoming an everyday thing . Please what form of problem does it give? Please which network provider are using and your location? Please do return and it will be replaced as it is still under warranty. Please do return the phone as it is still under warranty. NOTE: You loose all files and documents saved on phone memory.